Originally organized in the Fall of 1945 with 24 members of local quartets, the Richmond affiliate of SPEBSQSA received its official charter from the society on December 6, 1952, with almost 40 members. Its charter party was attended by approximately 150 people. Dean Snyder from SPEBSQSA (and founding member of the Alexandria Harmonizers) presided over the ceremony to hand the charter to then chapter president, Dr. Ralph M. Roberts. The Richmond affiliate started proceedings to get an official SPEBSQSA charter in September 1952, and open up its membership to men who wanted to sing in an ensemble chorus. Previously, the group had been entirely made up of barbershop quartets. Past musical directors include Brian Whitehead, Jim Garber, Hardman Jones, Buddy Johns, John Glass, Hardman Jones, John Hohl, Charlie Bechtler, and Gary Parker. Currently the director is Mike Wallen. The Virginians chorus is the principal performing group from the Richmond chapter of the Barbershop Harmony Society (based in Nashville) a 501(c)(3) non-profit charity. It is partially supported by CultureWorks. The active members of the chorus draw primarily from the city of Richmond as well as Henrico, Hanover, Chesterfield, Powhatan, and eastern Goochland counties. Some members travel from as far away as Charlottesville, Fredericksburg, and the Northern Neck with a strong contingent from the Williamsburg area. The Virginians chorus participates in numerous community appearances with diverse shows that may include performances by its registered chapter quartets. One of its biggest fundraisers is an annual Singing Valentines program. 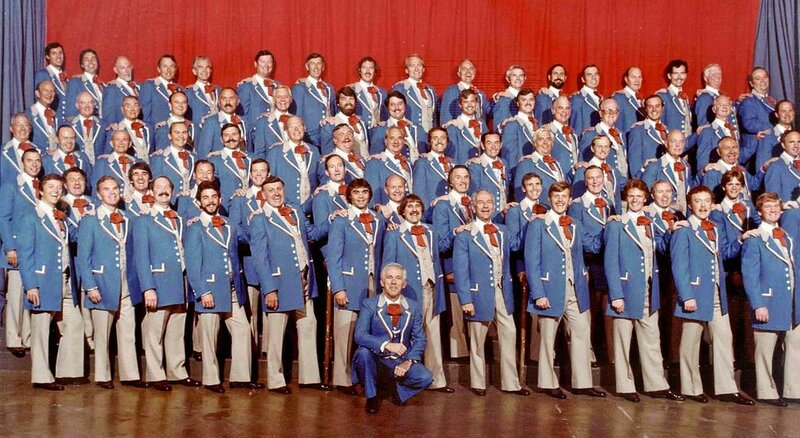 Most of its repertoire is made up of barbershop arrangements, but the Virginians also sing in other a cappella styles.